Click here to find this document. All paddlers should be familiar with these recommended procedures. Please wear footwear that you don't mind getting wet. 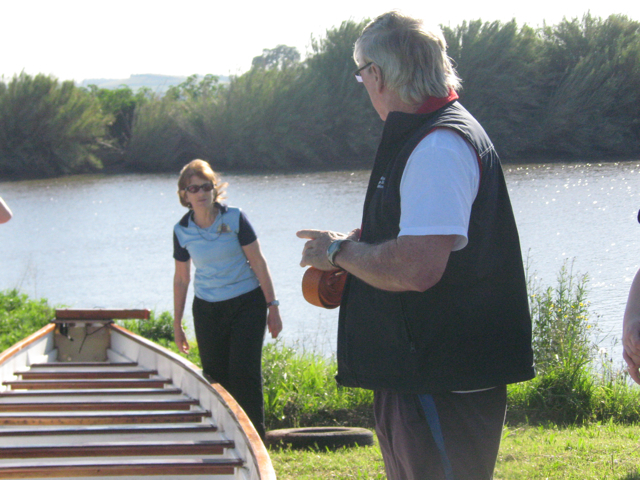 Thongs can be dangerous if the ramp is slippery or when carrying the boat to the trailer. Cheap plastic 'crock' style footwear that covers the toes is suitable. Apply sunscreen and/or wear protective clothing. Wear a hat and sunglasses to protect your eyes from UV rays. It is the crew's responsibility to listen carefully to the sweep's calls and respond immediately. What Happens If a Boat Capsizes? 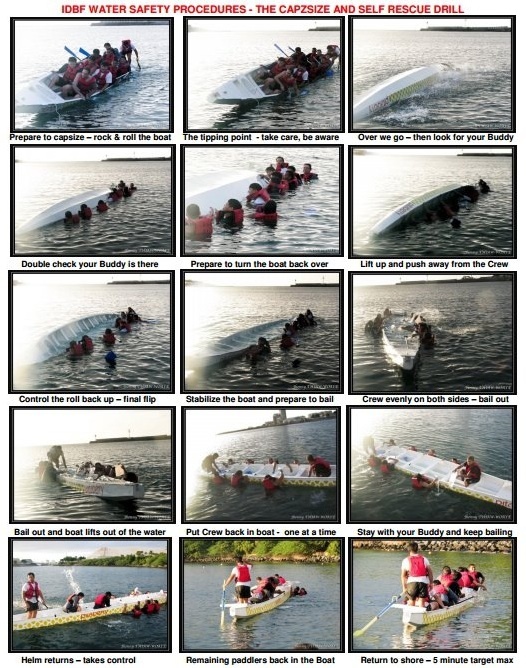 Dragonboats rarely capsize. If it should happen, remember that the sweep is always in charge and responsible for the safety of the crew. Always cooperate with the sweep (or helm, as described below).